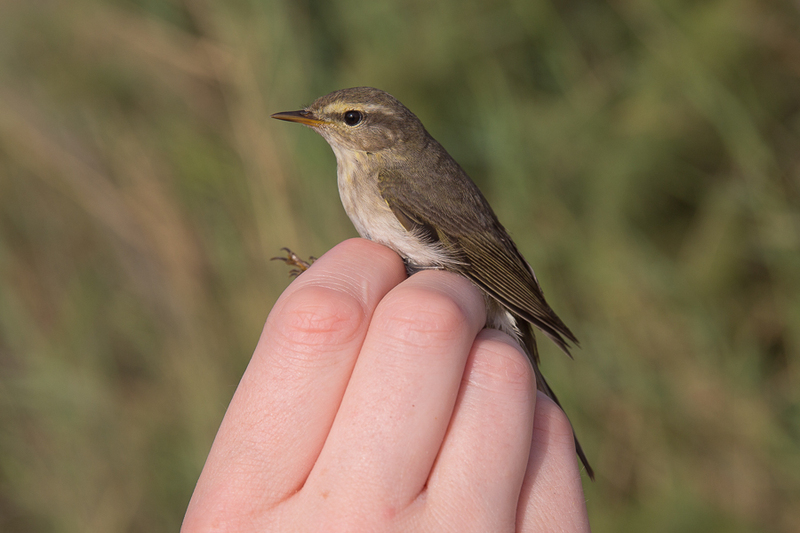 Whilst ringing on 7 June 2015 I caught an unusual looking Willow Warbler. The bird did not look like the typical birds we get in Saudi Arabia where we catch what appears to be two types of birds. Birds resembling nominate trochilus and acredula/yakutensis types with the former being much more common. This bird did not appear to be like nominate trochilus as it was too brown and white and the measurements were small compared to the acredula/yakutensis types we catch. The trouble with this group is that only the extremes can be separated with any degree of confidence i.e. the most obviously yellow- and olive-tinged trochilus in the west and the paler grey-brown and white yakutensis in the extreme east, which lack olive and yellow almost entirely. Between these two the form acredula appears to be very variable in appearance and, even in a given area, there is a lot of variation. Among acredula, the more ‘brown and white’ types have been referred to as ‘eversmanni’ but such birds are known to occur alongside more typical acredula and ‘eversmanni’ is not deemed to have any taxonomic validity. Svensson indicates that some acredula (presumably ‘eversmanni’ types) and yakutensis ‘can look just the same’. The form yakutensis is rather larger on average but your measurements of wing and tail fit quite comfortably with acredula and do not hint at yakutensis. 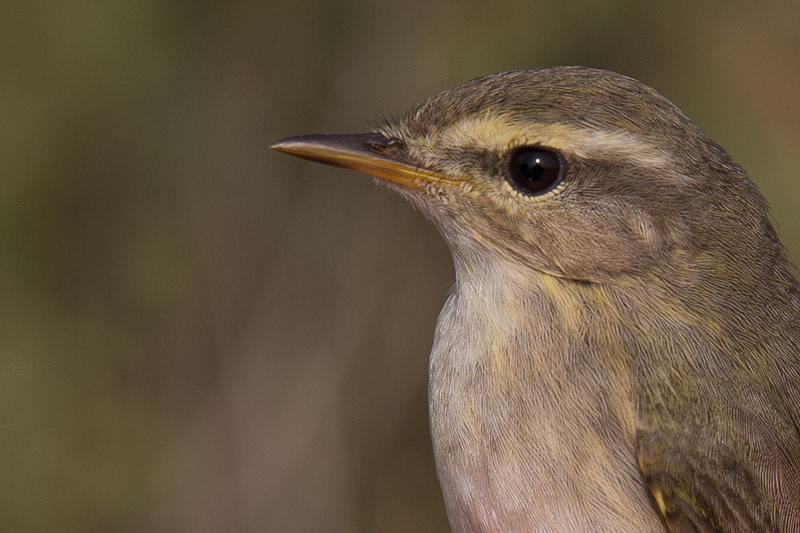 I would like to thank Alan Dean for valuable comments on this odd looking Willow Warbler (for us in Saudi Arabia at least).